Located in the heart of Montauk village, MTK LOBSTER HOUSE invites you to stop by and TASTE MONTAUK! 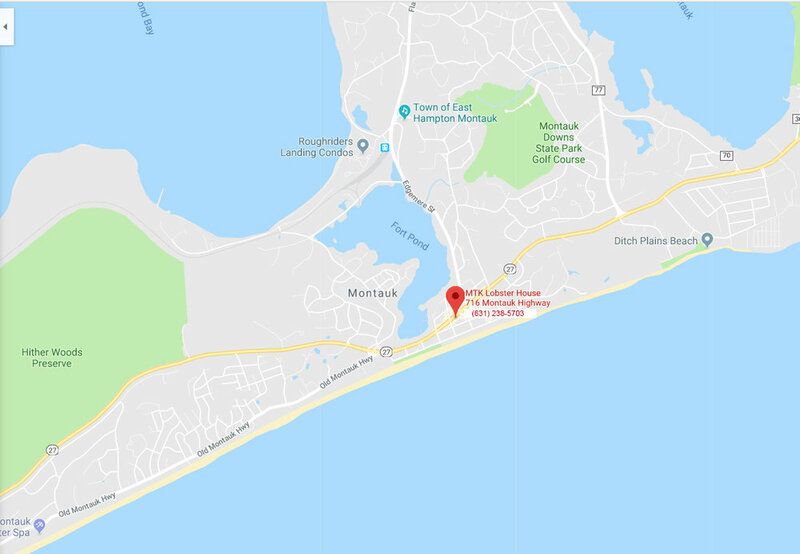 Opened in March 2018, MTK LOBSTER HOUSE is conveniently located right on Main Street in the village of Montauk (on the 2nd floor of the Plaza Sports building). Owned and operated by Diego Flores, we specialize in fresh and fast casual seafood, to eat in or take out. Look for items like chunky lobster rolls, mouth-watering fish tacos, crispy fish & chips, our amazing “MTK Lobster House Boil,” juicy build-your-own burgers, a Kids Menu, fresh soups, salads and much more! Our casual, beachy interior reflects the seaside sensibilities of our Montauk location, offering indoor and outdoor dining—or orders to go. Diners can observe the bustle of Main Street below on the covered outdoor patio, or grab a bar stool or dining room table inside. Look for tasty Daily Specials and our popular "You Hook 'Em, We Cook 'Em" option. We also offer delivery—including beachside drop-offs—and catering, on request. MTK Lobster House is conveniently located in the heart of Montauk village — just steps from the village green, shopping, beaches, and hotels. We're on the south side of Main Street (also known as Route 27 or Montauk Highway), upstairs in the Plaza Sports building.